5/16/12. Posting something different this morning. 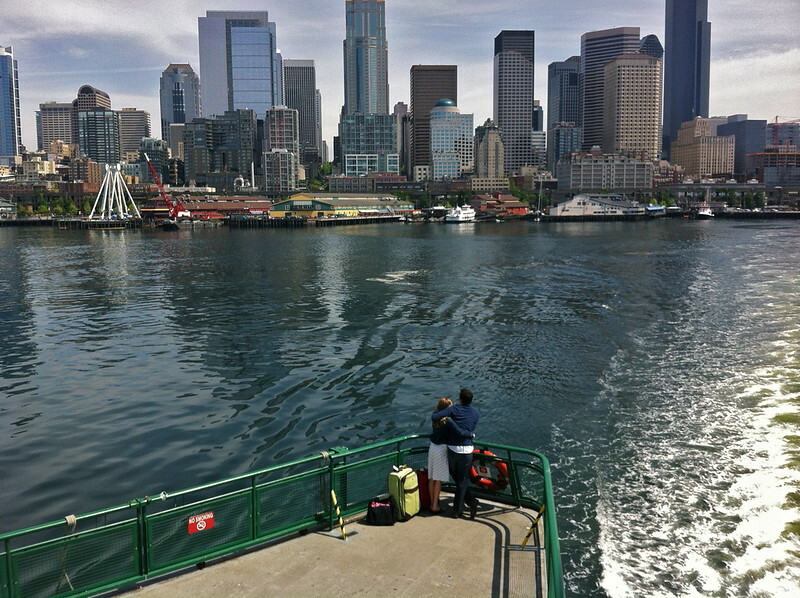 As the ferry pulled away from dock in Seattle yesterday I saw this couple gazing up at the City. There was something about their pose, the luggage at their side and their isolation at the stern that caught my eye. Taken with an iPhone. Thank you for the kind comments on the blue mountains photo yesterday - one of my favorite shots and areas to visit. it tells a romantic story. great capture and well seen! Great story telling catch, well done! Excellent comp here! Reminds me of my ferry rides with the kids in 2010 crossing the NC Outer Banks. Something about being out at the edge. Even better with your honey. Great eye you have for the special moment.. Very special capture. Beautiful light & view of the city. I really like how they're embracing each other & gazing at the city.